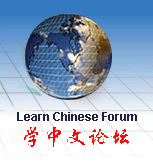 There are four student’s books, in Learn Chinese with Me, each of which has six units. Each unit in the fourth volume has 3 lessons, and with a total of 18 lessons. Its companion workbooks, listening materials and teacher’s hand books are available. This order is for student's text book Volume Four and CDs (Volume Four) together.